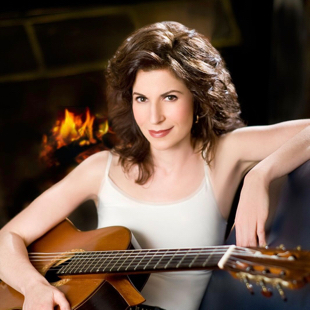 The Detroit Symphony Orchestra welcomes guitarist Sharon Isbin for a concert program that includes Vivaldi’s Concerto for Lute and Chris Brubeck’s Affinity: Concerto for Guitar and Orchestra. Mahler’s dramatic Tenth Symphony in the Deryck Cook completion rounds out the program. Music Director Leonard Slatkin will conduct. Isbin, the preeminent classical guitarist of her generation, is the featured soloist on the Vivaldi and Brubeck concerti, the latter of which was written for her. Brubeck is the son of the late jazz pianist/composer Dave Brubeck. The performances will take place Thursday, April 6 at 7:30 p.m., Saturday, April 8 at 8 p.m., and Sunday, April 9 at 3 p.m. at Orchestra Hall, within Midtown Detroit’s Max M. and Marjorie S. Fisher Music Center. The Saturday performance will be webcast for free via the DSO’s Live from Orchestra Hall series, presented by the Ford Motor Company Fund and made possible by the John S. and James L. Knight Foundation. DSO fans can view the webcasts anywhere, on any device, at dso.org/live.